Alden Hart started his telephone career upon graduation from college in 1906 with Cincinnati and Suburban Bell. He remained with Bell Companies until 1918. As a Captain in World War I, he received a citation from General Pershing for meritorious service as communications officer for the Paris Peace Conference in 1919. He returned to Bell as general commercial agent, Wisconsin Telephone Company. In 1926, he was named operating vice president of Western and Southern properties of Associated Telephone Utilities Systems. He became operating vice president of all properties in 1934. He was elected executive vice president, General Telephone Corporation, New York in 1936 and retired the following year (for the first time), moving to Los Angeles. 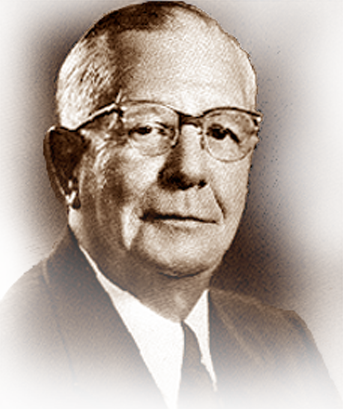 Hart was president of reorganized United Utilities, Inc., 1940. He led United Utilities, now the nation’s second largest independent telephone holding company and known as United Telecommunications, out of receivership in the final years of the Great Depression. He retired again in 1958, after a telephone career covering a span of 52 years. He was USITA director from 1944-1958, and he served in 1965 and 1966 on the Independent Telephone Hall of Fame Honors Court. He died in 1967.